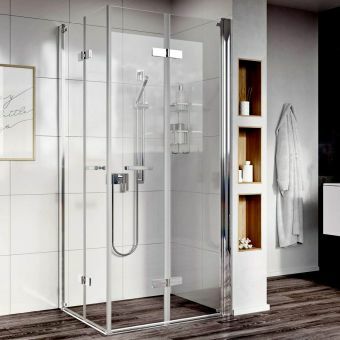 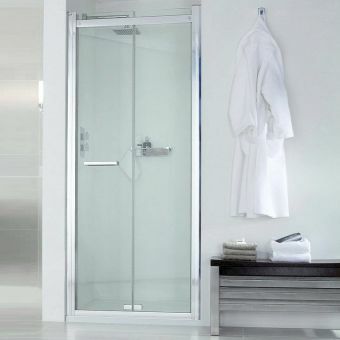 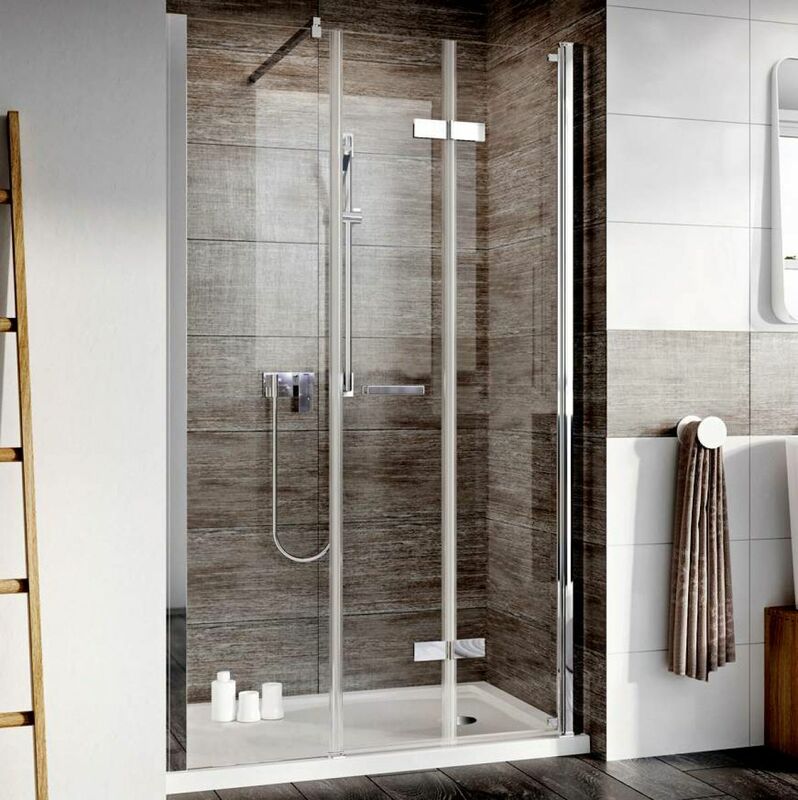 With uncomplicated lines and a sense of refined elegance, the Roman Innov8 Inward Opening Bi-Fold Shower Door with In-Line Panel offers a modern slant to a traditional style shower enclosure. 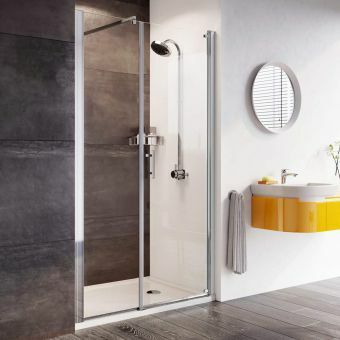 Comprising two sections joined together with a positive seal, the inward folding door opens with a gentle push on the handle allowing easy access through the extra-wide opening of 630mm. 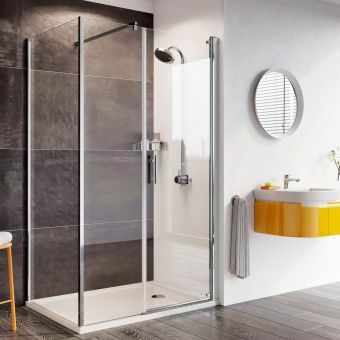 The inline panel sits tightly to the door preventing water from escaping and is held firmly in place with its discreet chromed corner brace adding extra safety. 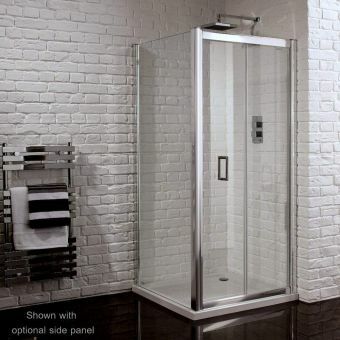 The enclosure stands 1967mm tall with polished silver profiles holding it in position but with 35mm of added adjustment to play with you can be sure to achieve a perfect fit. 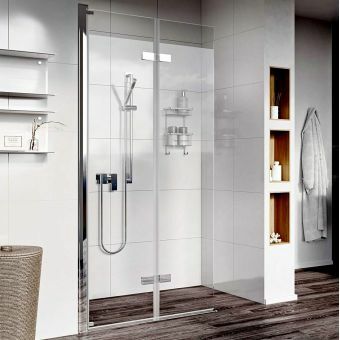 Made from tough 8mm clear glass, the hinges give it a bold cutting-edge look as well as being visually stunning. 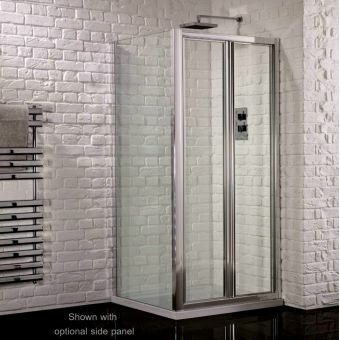 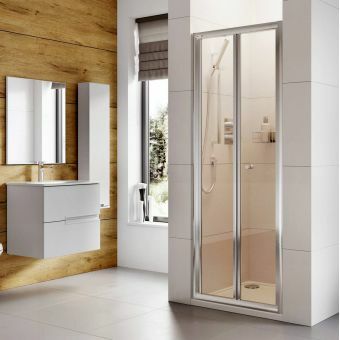 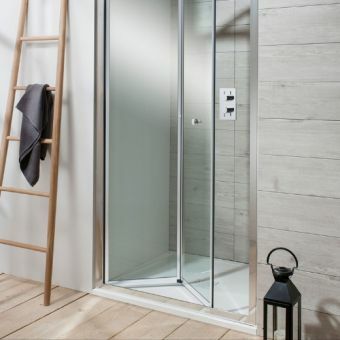 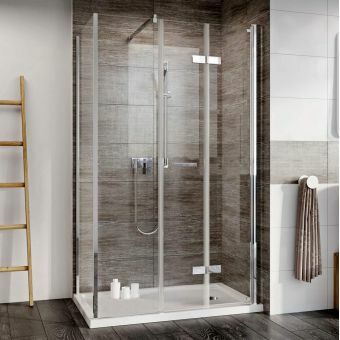 Three widths of 1200, 1400 and 1500mm can be specified and with a virtually invisible lower rail, they will sit happily in any walk-in or wetroom situation.